Abelssoft FileWing Pro is a new professional and easy-to-use Windows tool which is designed to help users to restore an unintentionally deleted files. The program is also capable of permanently deleting the files with sensitive contents by overwriting them multiple times. Abelssoft FileWing Pro normally costs €19.90 for purchase. As part of PC Praxis / Abelssoft promotion (German), the interested users are now entitled to download the full version of Abelssoft FileWing Pro for free. Click the link of “Vollversion jetzt herunterladen” (Full version download now – after translation). Install and run the FileWing Pro. Complete a registration form that asks for your details. Check your registered email ID for an email (from Abelssoft) which contains an unlock license code for Abelssoft FileWing Pro. 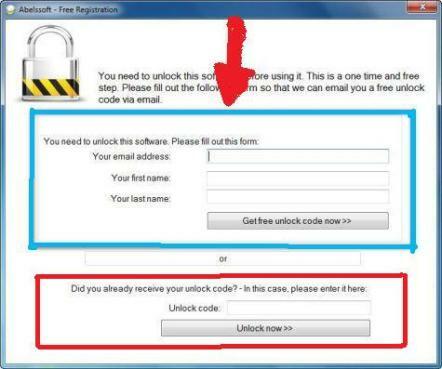 Back to the previous registration screen (step 4) and use your received free unlock code to activate Abelssoft FileWing Pro to a full version. Abelssoft FileWing Pro is compatible with both 32 and 64-Bit of Windows XP, Vista and Windows 7 OS.